Thanks to all who turned out for the 2018 Head of the Dog! We had 74 entries, and countless great costumes — see photos below. Special thanks to those who traveled from California, Eugene, Duwamish, and Port Angeles! Good luck to all in the rest of the head race season. The fall racing season comes to an end in a whimper thanks to cancellation of the Head of the Lake. Snow, barges, float planes, and winds led the officials to the unfortunate conclusion that racing would not be safe. However, the Fall Classic did see the PBC Men’s 8+ debut with a win, while Lori Jensen and Anita’s St. L 8+ also won their division. 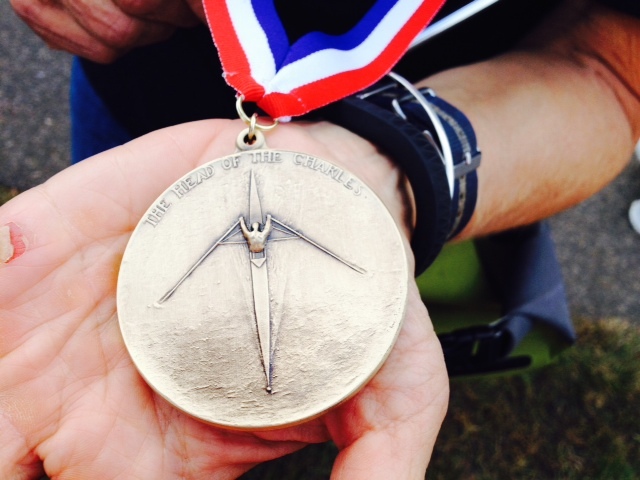 Susan Adams was in a St. L 4x and Shannon Gribbons’ Willamette 4x won that race. Ana and Maryann were #3 in the 2x. PBC was well represented in Boston this year. PBC men with North Dakota Indoor Rowing, came in 17 out of a gazillion in the Senior Master 50+ 8+, and Anita’s Master’s Coaching Veteran’s 8+ beat out Marin for the win in the Women’s race. Maryann aged up to Senior Veteran in the 1x and took 2nd. The Sullivan’s were well represented with Tiffany in the BU alumni boat and Max in the Club 8+. Tiff Wood was in the Etats Unis 8+, while Susan was in the 50+ 1x. Other Portlanders that I know of: Lori Jensen and Celia Heron had a good race in the 50+ 2x–Lori’s first steering adventure on the course. In the women’s version of the Etats Unis BC, Evelyn Hamman’s 8+ won their category. Emily Caffee, last year’s Head of the Dog winner now rowing in Chicago, came in an impressive 4th in the Women’s Club 1x. Hope I didn’t miss anyone. WINTER ROWING: Have fun and be careful. The water will be off when the pipes might freeze, the dock could be slippery, the water cold etc. Registration is now open on Regatta Central for the 2017 Head of the Dog, hosted by Portland Boat Club on the beautiful Multnomah Channel. HOTD is a three mile head race, a costume competition, and a fun picnic — all rolled into one. We’ll run two separate start waves, one for singles only, and a second for doubles, quads, and fours to minimize wait time on the water. Boats will launch from Portland Boat Club and row to the start. Spectators will have premium viewing of the finish line from the boathouse. Costumes are an annual tradition for this event; although optional they are highly encouraged! Food and awards round out the festivities after the race. Visit Regatta Central for details and registration. Perfect water, clever costumes, and rowers from near and far were spotted at Portland Boat Club’s 2016 Head of the Dog Regatta today. Photos here. Thanks for all who came out to race, volunteer, and celebrate with us. We’ll see you again in September 2017! PBC has a new Weather cam! 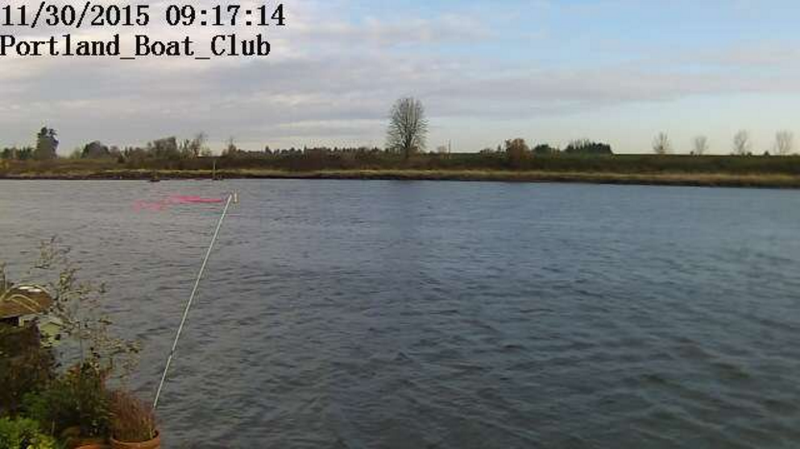 Anita and new member Marilyn Z. who lives at the moorage arranged for this weather cam to check the water conditions. The camera is located at Marilyn’s house upstream from the bridge and pointed towards the bridge. No more guessing about the water! Hosted annually in September by Portland Boat Club on the beautiful Multnomah Channel, the Head of the Dog is a three mile head race, a costume competition, and a fun picnic — all rolled into one. We run two separate start waves, one for singles only, and a second for doubles, quads, and fours to minimize wait time on the water. Boat launch from Portland Boat Club and row to the start. Spectators have premium viewing of the finish line from the boathouse. Costumes are an annual tradition for this event although optional they are highly encouraged! Food and awards round out the festivities after the race. Perpetual Silver Trophies are awarded to the fastest men’s and women’s 1x. The Bill Kalenius Memorial Trophy goes to the fastest 2x. We are happy to report that PBC brought home the hardware at the Head of the Charles in the Women’s Grand Masters 8+ event. Under the PBC banner in the women’s event, Anita, Lori Jensen and yours truly ganged up with Joan Linse, Stacy Stein, and Cathy Holdorf from Corvallis, Sally Keller from OAR in Eugene, Susan Kinne, and coxswain Rachel Le Mieux, Lake Washington stalwarts to subdue the nearest competition by 45 seconds. This was a race within a race, with the 60+ and the 50+ age group winners getting medals in their divisions. PBC beat over half the field in the overall event, ending up 17th. It was great to hear cheering from the bridges as we raced through. Head of the Dog 2014 registration is now open!